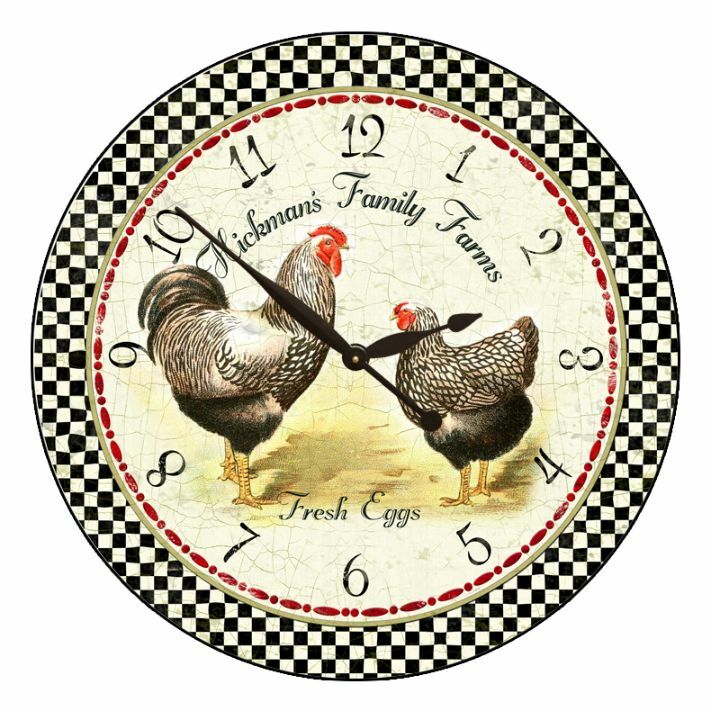 This country Rooster Clock has a Hen and Rooster scratching about the distressed parchment face with Arabic numbers the rim of the clock has a black and cream check design with a red inner ring. Qualilty Giclee print hand mounted onto a 1/2" thick MDF wood base. This Rooster clock runs on a quiet Quartz movement, one AA battry is required, not included. Three Year Manufacture Warranty on the Mechanism. This clock is handmade in the USA and made when ordered, please allow 4-10 full business days before shipping.